American physicists warned not to debate global warming | Watts Up With That? Bureaucrats at the American Physical Society (APS) have issued a curious warning to their members about an article in one of their own publications. Don’t read this, they say – we don’t agree with it. But what is it about the piece that is so terrible, that like Medusa, it could make men go blind? It’s an article that examines the calculation central to climate models. As the editor of the APS’s newsletter American Physics Jeffrey Marque explains, the global warming debate must be re-opened. “There is a considerable presence within the scientific community of people who do not agree with the IPCC conclusion that anthropogenic CO2 emissions are very probably likely to be primarily responsible for the global warming that has occurred since the Industrial Revolution. Since the correctness or fallacy of that conclusion has immense implications for public policy and for the future of the biosphere, we thought it appropriate to present a debate within the pages of P&S concerning that conclusion,” he wrote (http://www.aps.org/units/fps/newsletters/200807/editor.cfm). But within a few days, Monckton’s piece carried a health warning: in bright red ink. Not so much Medusa, then, as Nanny telling the children what not to think. Believers and sceptics have spent the past few days examining the value of “peer review”, and the weight of validity that should be placed on “publication”. Monckton is a classics scholar and former journalist, which believers maintain is enough to disqualify him from holding an opinion. But for anyone without a dog in this race, and perhaps not familiar with the “state of the science” there may be a couple of surprises in Monckton’s paper. The great British-born physicist Freeman Dyson offered an impertinent dose of reality which illustrates the dangers of relying on theory for both your hypothesis and the evidence you need to support it. Since 8 per cent of atmospheric CO2 is absorbed by the planet’s biomass every year, notes Dyson (http://www.nybooks.com/articles/21494), the average lifespan of a carbon molecule in the atmosphere is about 12 years. His observation leaves the “climate scientists” models as immaculate as they were before, but suggests a very different course of policy action. It suggests our stewardship of land should be at the forefront of CO2 mitigation strategies. That’s not something we hear from politicians, pressure groups and, yes … climate scientists. How did the Council of the American Physical Society determine that the “conclusions are in disagreement with the overwhelming opinion of the world scientific community”? Did they do a survey? I applaud the bold initiative of Jeffrey Marque, one of the editors of the newsletter of the Forum of Physics and Society, for opening the pages of the newsletter to an open public debate on the scientific merits of different views on anthropogenic global warming (AGW). At a time when science is being dangerously corrupted by dogmatic politicization in which differing views of AGW are viciously attacked through appeals to authority and ad hominem attacks, this move represents the truest spirit of scientific inquiry. In placing this discussion in the pages of the newsletter, the public, both scientist and layman, can see the purest expression of peer review over the coming issues as opposing views on the significance of man’s influence on the changing climate are presented and reviewed on their scientific merits. Our job is to promote discussion – if necessary by occasionally telling the emperor that he is not adequately dressed. Hopefully we have done that. As far as I know, the issue of anthropomorphic impact upon climate is not as well settled as the flatness or roundness of the Earth; more discussion may help bring the issue to that state. (Occasionally, it is very difficult to get alternative viewpoints; we go with what we can get.) We read submitted papers for clarity, not for content – so we do not claim that we are a peer reviewed journal, nor do we only publish stuff that we agree with – as is clearly stated in the “boilerplate”in each issue. (Speaking personally, I am much more in agreement with Hafemeister than with Monckton, though I do not claim to be a peer reviewer.) We would welcome a contribution from you pointing out to our readers some of Monckton’s errors. All of us would benefit from such rejoinders. It seems that it is now officially politically incorrect to debate – god forbid doubt – man-made global warming theory. All Hail Mr. Gore! The problem with this statement is that no one has been able to show that any warming has occurred that is outside natural variability. The statement does more than just put the cart before the horse. American physicists will have to decide for themselves whether bullying debate out of science is tolerable. I hope more and more will stand up and realise what a bunch of madmen charlatans like Gore and Hansen really are. This may sound harsh, but what else can you label people who demand we live in a fantasy world? This sentence actually does a better job of representing this article, not the APS disclaimer. The bottom line is that Monckton’s paper was not peer-reviewed. Peer-review involves the work being sent to reviewers who are either employed by the Journal involved or are considered experts in their field, and then analyzed for accuracy and screened for error. The process typically takes a while, and optimally, a paper will be scrutinized quite in depth. If the paper is up to snuff, it may be accepted for publication; if not, it will be rejected, and occasionally notes from the reviewer will be passed back to the author for consideration. Monckton had a Physics professor look over his paper for errors. Having a professional proof-read your paper is not peer-review. It’s as simple as that. And, even with good, professional help going into the paper, Monckton still manages to screw it up. This is getting ridiculous. Mr. Orlowski’s other comments are the same old skeptic arguments we see time and time again, but the big picture here is the APS meme, which is ridiculous. The fabled “debate” over global warming is still going to continue at this APS newsletter. Monckton’s flawed paper and politicking aside, you skeptics are going to get your debate. The APS has done nothing wrong. If you all are so convinced with your evidence, then submit papers to the newsletter in question and persuade more people. Quit attacking the APS. MODERATORS DISCLAIMER: The above comment stating that “Monckton still manages to screw it up” has not undergone any scientific peer review. Its conclusions are in disagreement with the overwhelming opinion of the majority of participants of this forum. The moderator disagrees with this comments conclusions. The idea that one would tell people with degrees in physics not to read an article lest they be deceived . . . how funny is that. If the administration of the APS had stood back and tried to visualize how that looks to the bystander, or to people belonging to the APS who hold MAs or Phds in physics . . . it just maks me shake my head. I realize that in science, a theory stands until it is replaced by one that better fits the observations. However, the theory in standing can still be just as wrong when it does not match the observed data. One does not go charging off, changing the world on a theory that has simply not yet been replaced by a better one. And for anyone who may have missed it in my comment above, in his reply, Saperstein refers to an anthropomorphic effect rather than the correct term of anthropogenic, two rather different concepts. Normally I’d appreciate a bit of wit, but not at this moment. I applaud you on your rhetorical strategy; I blundered and you exploited a pivotal weakness in my post. Congratulations; you’ve successfully diffused the point of my comment based on a single sentence that I neglected to edit out (I changed the direction of my post twice before submitting it). I ask for you to please remove your comment as well as the sentence in question. In return,you can edit this comment to be comprised of simply the sentence in question so that you may still have your tongue-in-cheek comment. I’ll admit – I want a debate just as bad as skeptics do, although I have different motives for it. If the skeptics continue the behavior shown at this site – an utter cynicism towards the peer-review process and the scientific establishment as well as a stubbornness to let go of a non-issue – then we will all lose this opportunity to have a legitimate debate. This was the point of my comment. Please consider my proposal. If you disagree to it, then please delete this comment. REPLY: I don’t need to forge bargains. In making this request, you are doing exactly as Monckton has requested, removal of a disclaimer that negates your writings from the get go. So now the APS is doubting the intelligence of their members? That they don’t have the brains to distinguish between fact and fantasy so they shouldn’t read Monckton’s paper? What a hoot and an insult to the APS’s members. Nowhere does the APS direct its readers to not read the paper. The problems with this statement is that while everyone agrees that increasing CO2 will cause an increase in temperatue, nobody agrees on how the feedbacks will play. The AGW’ers assume that there are strong positive feedbacks that will dramatically increase the affect of CO2 increases. However, nobody has demonstrated the existence of these proposed feedbacks. A number of recent studies have concluded that H2O feedback is negative, not positive. Finally, regarding the crack about correlation not equaling causation. I wish the AGW’ers would apply that logic to their own theory. Andrew: Good show. It is a great shame when invitation to open debate gets the backhand shot. One might even begin to suspect that the emotions are rooted more deeply than in the scientific facts of the case and the normal channels of free and open inquiry. But what is it about the piece that is so terrible, that like Medusa, it could make men go blind? Just buff up the trusty old Shield +1 and bask in the reflection. Well, as it is the human race, I will admit to having a dog in it. That’s the point. CO2 won’t do it alone. There have to be hugely magnifying positive feedbacks involved. But the Aqua satellite data says no. So what if they ain’t? AGW is a bit of a wet firecracker, that’s what. Dyson has a good point–if natural absorption can be enhanced, the whole question could be made moot. But I do wonder about the ins and outs of the persistence factor of atmospheric CO2. I have heard too many reasonable-sounding answers that badly conflict. And how would the world scientific community know that they disagreed with the conclusions, unless they had all read the paper? My, aren’t we being picky… reading Monckton’s paper is essential to debating… the APS wouldn’t dare to tell it’s members not to read Monckton’s paper. You obviously failed to get my sarcasm. So this is what science has become … political, no truth. I wonder, do the scientists involved realize the damage they are doing to their own chosen field by this politicization of science? Still there remains no verifiable proof of AGW, just computer models, which can prove anything you program them to say — So where is the beef? Why not just offer up the proof? AGW has been declared to be going on for 100+ years, there must be proof. Well, except for the recent years … It’s getting complicated. 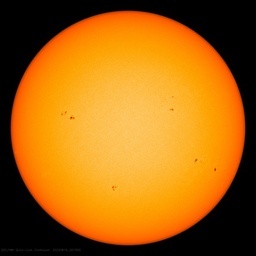 Meanwhile, the sun does not seem to be responding to NASA’s proclamation. I too appreciated the wit of the moderator’s rejoinder to “couters” original post. “Counters” made a thoughtful and resonable point with regards to the manner in which constructive debate should be conducted and the spirit of his post is commendable. The moderator’s rejoinder detracts from “counters” good intentions moves this blog in an undesirable direction. Therefore, I fully support “counters” request for an edit of the post and removal of the moderator’s comment. Mr. Orlowski’s other comments are the same old skeptic arguments we see time and time again, but the big picture here is the APS meme, which is ridiculous. Actually, “Mr. Orlowski” is an agnostic on the issue. He questions both sides. He advocates and encourages open debate in order to help clarify the issue. Things have come to a pretty pass when a call for debate and fairness is considered to be “the same old skeptics arguments we see time and time again”. Is it me or are the Global Warmists starting to act like four-year olds sticking their fingers in their ears and screaming at the top of their lungs, “I can’t hear you!”? Geesh. People who don’t want to debate know that the facts aren’t on their side. Those that have the facts on their side are more than willing to debate. Unless, of course, they are debating four-year olds with their fingers in their ears. It makes my blood boil and steam shoot out of my ears, thus contributing to positive feedback loops. Disclaimers in advertising are usually so that the company can make a claim which they otherwise would not be able to uphold. I see this disclaimer more as a means of getting the article published and noticed, rather than an attempt to stop it being read. Moderator, you conflate separate issues in your reply to my request. Specifically, as I’ve already stated, your comment on my first post is disingenuous in nature; it does not address the substance of my comment, and instead opts to hit an Achille’s heel within the post itself. You refuted my post by knocking down a strawman. In the case of Monckton’s paper, there was no “refutation” involved. Rather, the disclaimer was a clarification of the APS’ official policy which had been lost during the heavy dissemination and politicization of the issue at hand. The disclaimer was not meant to address Monckton’s paper – it was meant to dismiss the legions of skeptics on the internet who were being guided to the paper under the false pretenses that the APS had reversed its official policy. You’re entitled to not honor my request as this is your own webspace. However, it speaks quite vividly of your intentions with this blog and the subsequent promotion of this story, which is at heart and motive dishonest. REPLY: I think the object lesson is clear, Monckton disliked the disclaimer conditions that were added after the fact. Under the same situation, you’ve reacted identically, to the same type of disclaimer, but at the same time maintain that you’ve been wronged and that I’ve been disingenuous. That that I say: BUNK. If you don’t want a comment published, put up NOT FOR PUBLICATION on it. I can’t read your mind. The disclaimer and subsequent comment stand. BTW if I was “not interested in debate” as you assert, none of your comments would be published. Thus, your assertion fails. 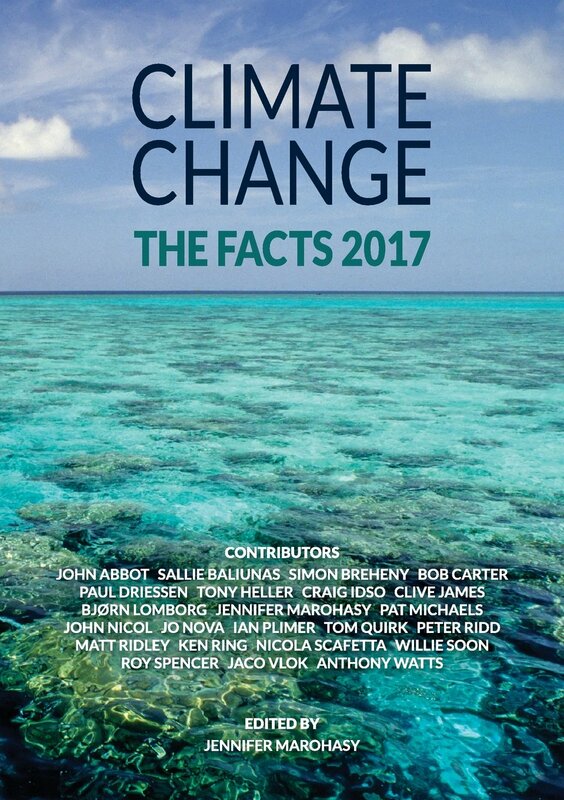 If you want one sided debate, go to RealClimate. Is ad hominem what passes for “good intentions” these days? Pretty hard to do, Mark, since the only close correlation between increases in atmospheric levels of C02 and temperature existed briefly during the 80’s and 90’s and has virtually vanished during the last decade. It would seem that the APS significantly miscalculated both the size and the sign of the “feedback” that would result from their disclaimer. Evan, close those italic tags every chance you get. Maybe it’s just my poor old eyes. But, reading italic on more than a string of a few words is difficult. Please don’t take this suggestion badly. I enjoy reading all of your posts. I’ll skim others while trying to read every word of yours. I think many are missing Dyson’s point, but making it at the same time in this discussion. Environmentalism has become a major religion. The debate of religion is usually fruitless. I, for one, prefer Magellan’s view, The church said the earth was flat. He saw its shadow on the moon and chose to believe in the shadow more than the church. sun more than Gore. I also believe Estabrook’s data more than Gore. The red disclaimer essentially said “no need to read or consider this, it’s probably rubbish”. Pretending otherwise is being dishonest. Where is the credible mechanism for ice ages and their subsequent end? Surely CO2 forcing is not the answer… so let’s hear the credible explanation. You see, what I and other “skeptics” want is an end to the ridiculous hyperbole and a return to science. Computer models are not credible to me, and the “code” in my nickname stands for my specialty. Moderator, you’re still not getting it. I invited you to include your comment – however, the comment should line up with its subject matter. Your comment referred to a single sentence in my post. Although I can not read minds either, it is apparent that you posted it to diffuse my argument in its entirety – an argument which was only tangentially related to the veracity of Monckton’s paper. The bottom line is that Monckton’s paper was not peer-reviewed. Period. The APS’ disclaimer was not meant for Monckton’s paper as much as it was meant to serve as a course-correction for the legions of misinformed skeptics who were spreading a false meme around the blogosphere. At the very beginning, it was a false and bunk argument that the APS had reversed their stance on global warming. It is still false to suggest that they are shutting down debate by sticking a disclaimer on Monckton’s paper. REPLY: I think you are the one missing it. This was a test that was counter to the published opinion of APS. That is the story. It truly is a reversal to open a debate on an opinion for which the organization has already issued a pro forma policy statement. If you have ever been a part of a union, perhaps you can draw from that experience to help understand the disclaimer issue. The union leadership issues an “opinion” on a proposal, then distributes it with that opinion attached. The rank and file then typically will not vote to accept the offer unless leadership approves it ahead of time. APS is much like a union in that regard. In the case of APS, the leadership qualifies the paper with an opinion of their own thus tainting its ability to succeed or fail on it’s own merits. If APS had not done that, there would be no issues. APS made a mistake, a huge one. Their “damage control” is compounding that mistake and drawing attention to the issue far more than if they’d just let the paper stand or fail on it’s own like any other science paper. I think it’s incorrect to assume that the greenhouse effect of water vapor acts as a positive feedback for the greenhouse effect of CO2. It seems to me that the two act separately but in tandem, and the total greenhouse effect is a sum of the two – before any feedback is considered. After all, water vapor has always existed in the atmosphere over the major part of the planet, since the beginning when the earth was still a molten sphere. As an aside, at that time the atmosphere consisted almost wholly of CO2, methane and water vapor – but despite this, it still cooled down from its molten state, and didn’t go ‘Venus’ on us. The point is, water vapor has always co-existed with CO2 in the atmosphere and, for at least the most recent 100 million years, has been in somewhat greater concentrations. So, far from the water vapor in the atmosphere having been ‘manufactured’ by the warming effect of CO2, it’s level is governed principally by the action of sunlight on the oceans. There has never been a time when we had a ‘snowball earth’ which had little or no water vapor, and which relied on the presence of CO2 to raise its temperature above -18, or whatever it was. As far more IR is absorbed by water vapor than by CO2, it creates its own warming, which far exceeds that of CO2, and temperatures would be close to what they are now in the complete absence of CO2 – except, perhaps, over deserts and other extremely dry areas at night. The negative feedbacks of precipitation etc act on the overall warming effect and, therefore, much more on the warming effect of water vapor than that of CO2. If not for those negative feedbacks, this planet would probably be far too hot to support life as we know it, even if CO2 didn’t exist. It seems to me that the effect of CO2 forcing is only a tiny part of the overall warming effect (that of water vapor and CO2 taken together) and so is much less than it would be in the absence of water vapor. The fallacy behind this ‘peer-review’ shibboleth is so obvious that a plurality here question the bona fides of any who seriously, or otherwise, raise its alarm. None should be able to criticise Astrology if that criticism should fail to pass review by some chosen few authorities of that discipline. Candidly, emphasis placed on ‘peer-review’ is credible only from the publisher of a journal maintaining a profit margin by means of good reputation. The oceans are gradually warmed by the direct action of sunlight but, because of their huge thermal inertia, this process takes a long time (decadal timescales, at least). As they warm, more evaporation takes place and so water vapor builds up in the atmosphere. All other things being equal, the more water vapor, the more cloud formation. The more cloud formation the higher the albedo and the less sunlight available to warm the oceans further, so they start the long process of cooling again – to the point where the cycle starts over. This process would, of course, be modified/amplified/diminished by solar cycles, cosmic rays, Milankovich cycles, etc etc. And, of course, lets not deny that CO2 may have a tiny part to play. BTW, I’ve read your critique on Monckton’s paper and, whilst I don’t agree with much of what you say, it’s nice that you’re doing your bit to keep the debate alive – which cannot be a bad thing. the criticism of the “disclaimer” isn’t that the disclaimer is factually wrong–as you say, it wasn’t peer reviewed, and APS is free to state their own view. That’s not the problem. What is being criticised is the manner in which the disclaimer was “slapped” onto the article afterwards. Say you are a local artist and I run an art gallery, and I invite you to have your own paintings hung in my gallery. At first you welcome the opportunity to show off your work, and have the public see it. But then you turn up at the gallery and discover that I have placed a big sign across the top that reads “DEGENERATIVE ART”. This is simply lacking in common respect and honesty. The APC can very well be criticised for not deciding for itself before hand how and what to publish. Why did they publish it at all? The bottom line is that they made a mistake in a rather delicate political arena. They publish an article, and then afterwards try to label it as essentially wrong. This implies that people who hold the views expressed by the article are wrong; “this article is degenerate”, or words to that effect. What is evident is that the scientific community is at odds with much of the general public who normally approach things with “common sense”. If anything the disclaimer seems aimed not at the general public but at scientists who would only care about peer review. Nota bene: I had not checked the site before, however at this time, the disclaimer is the same color as the article and I saw the same disclaimer at the top of the “believers'” page. Wouldn’t another “basic” model that did not exhibit the same prediction be sufficient? What basic physical mechanism has the model proved? Some assumptions had to be made about the sensitivity. With models, they say, garbage in = garbage out. Since the climate models have not statistically matched the actual behavior of the planet (rankexploits.com/musings), it seems that they really aren’t such a strong metric anyway. If peer review works so well in getting at truth , why don’t we get rid of the Securities and Exchange Commission and let the Chief Financial Officers of each listed company audit each other’s books? As has been posted earlier, this statement is mind blowingly insane. We have 150 years of data – at least 30 years of which are beyond reproach – on a planet that’s been around for millions of years so our modelers know exactly how it all works. I have a pseudoname for the APS – We shall call them “Gavin”. – AW, snip the last if you must. It seems to me that if a “guest” author is invited to publish an article in a scientific journal, it would be appropriate to mention in the invitation that all (not some, but all) non peer-reviewed articles will be tagged with a prominent disclaimer. To do otherwise is, at best, very rude. How come Mr. Saperstein is only interested in a critical analysis of Monckton’s paper, and fails to request the same treatment for Hafemeister’s. Hafemeister glossed over everything anyway, and basically said “Ignore the man behind the curtain”. Rather, it has to do with clarifying things for outsiders who don’t normally read that newsletter but were directed there by deceptive press releases (http://scienceandpublicpolicy.org/press/proved_no_climate_crisis.html) or news articles (http://www.dailytech.com/Myth+of+Consensus+Explodes+APS+Opens+Global+Warming+Debate/article12403.htm). In other words, it was when Monckton and his associates attempted to use the publication of this article in the newsletter to make many false claims, such as that the article was peer-reviewed or that its publication represented a shift in the APS’s position on AGW, that it was necessary to issue a disclaimer. Basically, Monckton is using the APS in a propaganda war to lend credibility to his views. And, this is what needed to be prevented. Also, by the way, I don’t think the APS Executive Council or the Executive Committee of the Forum on Physics and Society are “bureaucrats”. I believe that they are professional scientists who volunteer their time to serve in this capacity (and are elected by the members of the APS or the forum). The peer review issue is grasping at straws. It is a red herring argument, intended to change the subject because the climate is not cooperating with the AGW/disaster alarmists. The Earth is cooling, not warming. Screams of “peer review!” are intended to distract the public from that central fact. The cooling planet is the matador; the cries of “peer review” are the cape. Albert Einstein’s 1905 manuscript Annus Mirabilis wasn’t peer reviewed, either. If Einstein were here today and submitted a paper that contradicted the UN/IPCC, the same individuals would be making the very same ad hominem, appeal to authority, and red herring arguments attacking Albert Einstein. Had Lord Monckton jumped through every peer review flaming hoop set up by his venomous detractors, they would simply shift the goal posts again, as they have done so often in this issue, and they would attack him because he had been a journalist, or had a friend who received a stipend from an oil company, or didn’t hold a specific doctorate in climatology [as if they themselves did], or spoke with a different accent. Anything but face the fact that the planet is cooling. Despite the empirical facts, they are True Believers, and they view Monckton as an apostate who must be destroyed at any cost and by any tactic, no matter how disreputable. Because for them, Monckton’s science is in the way; AGW orthodoxy must remain unchallenged. Because money is at stake. Big money. Other branches of science are being starved of funds, because of the $billions being shoveled into the coffers of those pushing the AGW panic scam. The undeniable fact, as shown in the Wegman Report to Congress, is that the current peer review process has become extremely political and self-serving, and is tightly controlled by a relatively small number of people who stand to greatly enrich themselves by perpetuating the AGW scare. With a wink and a nod, the same researchers review each others’ papers uncritically. Climate peer review is now all about funding, and who gets it. What bothers the AGW true believers more than anything else is the fact that the Sun and the Earth contradict their falsified hypothesis: the climate is cooling, not warming as they so confidently predicted that it would. The impartial judgement of our planet contradicts the demonstrably wrong predictions of James Hansen, the UN/IPCC and the AGW/disaster purveyors. That is what is causing the current panic among the alarmists, who are now desperately trying to contain the argument. But the real world is not cooperating. The APS council should have heeded the advice of a great physicist, R. V. Jones, head of RAF Scientific Intelligence during WW 2. He notes that the best way to ensure that a report is read is to write it in such a manner that it is recalled by higher authority. This guarantees that every recipient will read every line of it to find out what it is he is not supposed to know. I am not a scientist! I do believe in good courtesy. It is one thing to ask comment and print the comment and then put the disclaimer on it. That should have been issued with the invitation. It was not. I believe also that with the disclaimer being issued after the fact that they are now required to answer Lord Monckton’s reply. They are the ones that have now set the rules and must by their own description of the rules must abide by said rules. The point being that while the review being done may not have been true peer review it met the requirements of the editors for acceptance and was printed. Now it must be challenged and by more than a statement of disagreement with the conclusions. They have put themselves in the position to now have to logically and empirically disprove the said conclusion. Counters you are correct in that the debate is now opened. The point now is that the APS in its method of disclaimer have put themselves in the position of having to prove their position or to disprove the position of Lord Monckton. I look forward to the debate with relish. PS I have also been derided to that “common sense” has no place in climate science. IMHO that is pure bunk. Really? So ‘outsiders’ are people who are incapable of making up their own minds, and therefore must be told what they should or shouldn’t believe? I find that patronizing in the extreme. It’s not only those who inhabit the hallowed halls of the APS who are capable of understanding scientific arguments. If they felt it necessary to add that disclaimer then they should have added a similar disclaimer to all the other ‘non peer-reviewed’ papers published in their newsletters. I am amazed that so many people here feel compelled to lecture the APS about courtesy when in fact it is Monckton who deserves the lecture. This is the first sentence of the press release that the organization that Monckton serves as chief policy advisor on released when the paper appeared: “Mathematical proof that there is no ‘climate crisis’ appears today in a major, peer-reviewed paper in Physics and Society, a learned journal of the 10,000-strong American Physical Society, SPPI reports.” That whole sentence is a downright lie and it lays bare the fact that Monckton’s motives had very little to do with convincing physicists (which, frankly, his ridiculous article is not going to do) and everything to do with using the prestige of the APS, along with considerable misrepresentations regarding the paper and its appearance in the newsletter, to further his own propaganda campaign. This is little more than variant #456 of the smackdown delivered to creationists attempting to invalidate evolution, which is directly and indirectly supported by a plethora of unrelated disciplines — e.g. geology, biology, etc. On the other hand you’re referring to a MODEL, meaning that all I have to do is provide a MODEL that doesn’t agree. And as a bonus, if I’m doing the Mann or Hansen thing, I get to make decent scratch on the taxpayer’s back in the process and then refuse to let you or the taxpayers see the code. And if you’re impertinent enough to disagree with me, all I have to do is recycle your quote and redirect it at YOU. Peter says: “Really? So ‘outsiders’ are people who are incapable of making up their own minds, and therefore must be told what they should or shouldn’t believe?” No, it is outsiders who are likely to be unfamiliar enough about the APS that they would believe the lies spread by Monckton and associates regarding the article being a major peer-reviewed piece or would believe it represented a shift in the APS’s position on AGW. Peter says: “I find that patronizing in the extreme. It’s not only those who inhabit the hallowed halls of the APS who are capable of understanding scientific arguments.” I don’t doubt that this may be true, although I am rather disappointed to see that so few of the people in the “skeptic” sphere have been willing to own up to the fact that the paper’s scientific arguments are completely flawed. However, since the APS was having its position on AGW and its publication of that paper willfully misrepresented by Monckton and his associates, it was necessary to set the record straight. Peters says: “If they felt it necessary to add that disclaimer then they should have added a similar disclaimer to all the other ‘non peer-reviewed’ papers published in their newsletters.” Well, there is a general disclaimer in that newsletter. However, this specific disclaimer was made necessary by the fact that the author and his associates used the paper as part of a propaganda campaign with willful misrepresentation of it. That has not happened, as far as I am aware, of other articles that have appeared in that newsletter. Frankly, I think the editors of the newsletter were naive to not have expected something like that to happen…but scientists can sometimes be a bit too trusting in that way, since we don’t deal with this sort of politicization and willful misrepresentation very often. No, THAT’S never happened in the global warming debate before. My goodness, do you live in a cave? Just read any news article recently saying “global warming does this or climate change will do that”. Just today I came across two more absurd articles like the penguins spin and the whitewash for the sea that are just so unbelievably absurd, I can’t fathom how a rational person could report them. I haven’t seen you denounce articles like these, thus I am forced to conclude that AGW proponents such as yourself simply don’t care if the science is right or not, as long as the cause is furthered. Please don’t lecture about propaganda until you are prepared to renounce some the pro AGW propaganda that has been showing up in news articles. Ah. my bad. Not at all, sorry, and other phrases. Netscape closes them automatically every paragraph, so they are coming through with only quotes in italics. But I will close them out from now on. And a very effective propaganda campaign it is too. Why, if it weren’t for all this brouhaha caused by that disclaimer, I woudn’t even have heard of Monckton. Nota bene: I had not checked the site before, however at this time, the disclaimer is the same color as the article and I saw the same disclaimer at the top of the “believers’” page. So noted. That is very good to hear. It also implies that the debate will continue. I approve of this action on the part of the APS. It would have been better if no comment were appended to either, but if this must needs be, then let it apply to both. Why is Monckton claiming that it was reviewed? I think it wise to find out what his basis is for that claim, before calling it a lie or dismissing it. The AquaSat seems to indicate the low cloud formations and albedo you describe. Whether it is CO2 negative feedback (thus limiting CO2 effect) or whether is a direct sun/ocean mechanism I couldn’t say. If they’re that unfamiliar about the APS then who cares what they think? Why should the APS care about the uneducated rabble? I don’t care whether it’s completely flawed or not, that’s not the point – besides I haven’t had the time to do anything more than skim over it, I would have to give it a proper read to make up my mind one way or the other. On the other hand, I’ve seen more than enough glaring flaws in ‘mainstream peer-reviewed’ literature. Uh huh, so the vast amount of cringeworthy, sensationalist rubbish appearing in the media every day is in no way ‘politicization and misrepresentation’ of your science, is it? Your points are well taken with regard to Albert Einstein. However, he did not publish a document entitled Annus Mirabilis. The term is used to describe the year 1905 when he published four foundation papers. Annus Mirabilis is latin for ‘miracle year’, and it was appropriate for the physics community to use this term to describe his output in 1905. 1) Brownian motion, proving the existence of atoms. 2) Determination of Avogadro’s Constant, determining the size of atoms and molecules. 3) Photo-electric effect, the basis for quantum mechanics and our solid state revolution, as well as other fields. 4) Special theory of relativity. 5) Mass Energy relationship (E=MC2). Here is a wonder book I stumbled on back in 2005 while walking through the Denver Public Library. Here is an excellent web page describing the details of his work and why Einstein was, well, Einstein. The era Einstein lived in at the turn of the century was very unsettling. In 1890, the physics community felt they really understood all there was to know about the physical universe and the only task remaining was to add some more digits to some of the universal constants. Then came the discovery of radiation. Also the total radiant energy emitted by a black body did not match the predictions of classical physics. That is, the formula for predicting the total energy radiated by a black body failed when the experiment was attempted. As the formula broke down in the ultraviolet region of the spectrum, this was referred to as the ultraviolet catastrophe. Physics was looking for a rescue, some sort of explanation for these breakdowns in their expectations. By 1905, they were desperate. Any one of these papers would have earned Einstein a prominent place in the history of physics. And he did five in a period of about 8 months. Today, we have a situation where a lot of people are extremely confident of their models of the climate, just as the physics community was confident of their’s in 1890. However, in 1890 there was a large collection of real observations accumulated since the time of Newton (another giant in science) confirming their models. Today, we have just the opposite. A collection of models that are not predicting accurately. Yet, there is this hubris the models are correct, even without observational confirmation. Einstein most definitely would not have done well in this environment. He really was a radical in his approach to science. Thanks for your observations that caused me to recollect the joy of reading the book mentioned above. Perhaps someday AGW catastrophe theory will be known as the Carbon Dioxide Catastrophe? That is, well regarded theory not living up to what’s observed. What’s different is black body radiation wasn’t a politically charged issue like AGW is today–so it may take awhile for us to own up to it. Parliament has a rule, as I understand it, which forbids any member from specifically calling someone a “liar.” It is a good rule. “Liar” is a vicious and provocative term that is used only as an ad hominem personal attack. It is what’s known as a “fighting word.” Credible people do not label as liars those with whom they disagree, especially regarding matters of science. This is substantially more rude than even the APS changing the rules after the fact, and singling out Monckton for not toeing their AGW/catastrophe Party line. Being deliberately rude and insulting to someone does nothing to advance the AGW/disaster hypothesis. It only indicates desperation. Unless someone specifically admits to being a liar [good luck with that, with anyone], or is convicted of lying [eg: perjury], then it is improper and extremely insulting to label them a “liar” just because you don’t agree with what they are saying, or because you prefer to accept a different version of reality from someone else – and you assume that only your cohort’s version consists of unimpeachable veracity [good luck with that one, too]. Lord Monckton has been writing well reasoned, widely published articles for many years regarding the UN/IPCC and global warming. He is very well respected, and an acknowledged international expert — otherwise, he would not have been invited to submit his paper for publication. Monckton’s articles are pointed, well researched, and credible. When the opposition has nothing left but personal, insulting ad hominems, that is a sure sign that they’re losing the debate. It is also a sure sign of poor upbringing to publicly label someone a “liar,” simply because you disagree with what they are saying. As we’ve seen, Lord Monckton reads these threads. Although I don’t expect it, an apology is certainly in order in this instance. Is anyone aware of any paper discussing the sensitivity of the equations used in the models? Are there data from model runs where climate sensitivity parameters have been varied under fixed CO2 scenarios? Certainly something like this would lend validity to models. Well, if you are referring to my sentence that said, “That whole sentence is a downright lie …”, I will be happy to apologize and amend it to read, “That whole sentence is downright untrue …” and leave it to others to decide if the untruthfulness was purposeful or due to delusion or what have you. Likewise, you can replace “willful misrepresentation” with simply “misrepresentation”. As for your characterization of Lord Monckton’s writing as “well reasoned, … well-researched, and credible” and the claim that he “is very well respected, and an acknowledged international expert,” we’ll just have to agree to disagree completely on that. To quote that most famous of philosophers: “Curiouser and curiouser”. Thanks for your great post. Yes you’re right, of course. The current formalized peer review process didn’t even exist in 1905. Scientists, many of them amateurs, simply sent around manuscripts for proofing and comment. The great Indian mathematician Ramanujan sent manuscripts to the English mathematician Hardy, which Hardy promptly threw in the trash. Later, Hardy noticed an interesting equation on a paper he’d thrown away, and picked it up. That act upended the world of mathematics, as well told in The Man Who Knew Infinity, the fascinating story of Ramanujan the Tamil. That was peer review back then. Now, unfortunately, in modern, formalized climate peer review, the system has been gamed and everyone scratches their colleague’s back for mutual grant funding. Wegman’s statistical analysis remains unrefuted, and it clearly shows how the game works: a few cash in, taxpayers lose, and the truth is buried if climate funding is threatened. Where did I get the notion that Monckton had been through at least one cycle with of review by qualified editor(s), had made changes suggested (requested? demanded?) by the reviewer(s) all before publications. Oh, I know, from his letter of outrage at the shoddy treatment. Is this revenge for Sokol? I cannot recall where this quote came from, I know it has been wobbling around this site for quite a few days, but I would like to say something about it. What troubles me is the second sentence and the reasoning behind it. Starting from the premise that models predict additional GHG will raise temperature, I cannot see how that gives rise to a presumption which must stand unless disproved in a particular way. In principle one can challenge a model’s predictions without proving a contrary case simply by undermining the modelling process. If the material going into the model is questionable there can be no presumption that what comes out of the other end is accurate. Equally, if the way the model is constructed is open to question then even feeding in correct data cannot give rise to a presumption that what comes out of the other end is accurate. In other words, if the model does not prove anything then there is nothing to disprove. I have, several times, here and elsewhere. My strongly held belief is that Monckton refuted it before you made it (suggesting that perhaps you are somebody’s sock puppet and have not actually read any of it yourself). counters, I mostly agreed with your post, except on one specific point (see below). However, I would point out that fighting with moderators is a waste of time. Make your point and then move on. Whatever you say, plenty will misinterpret you. APS had reversed their stance on global warming. As I pointed out earlier, the APS statement doesn’t say AGHG is the cause of GW. I find the ommission striking. Now if you have a statement from the APS saying AGHGs does cause GW, then post it, but I was unable to find such a statement. Thank goodness! I’m having enough trouble keeping up with the traffic here as is. It’s a hypothesis, but at least it is a hypothesis with suppurting experiments. A CERN experiment is planned; hope it’s not blocked by politics. I have never seen or heard of experimental support for the GHG models. The 95% correlation with sunspot peak frequency for warming and cooling, the correlation that presented no causation was published in Science (Friis-Christensen and Lassen, 1991). The causation was presented by Svensmark at al in, I believe , Proceedings of the Royal Society in 2006. You can check the Danish web site. The ball is in the AGHG court as deeply as it was in 1991 when the correlation paper was published. Read the editors comment in that issue. This thread is very off topic and dissappointing. I do not think it will attract serious participation. I’m looking at this as a geologist and have read what I can. Most of you do not seem to think outside the USA church of what’s happening now. My apologies for the insult …in advance. Monckton is a slick and audacious operator. Press releases don’t write themselves, and they are created for a purpose: to persuade the media and others to a particular point of view. The point of view expressed in the Science and Public Policy blog is that the APS supported Monckton’s contention that he had disproved AGW. This is false. Clearly, the APS panicked when it became aware of the way the sceptical blogosphere was running with the story. One could fault the APS for its inept initial handling of the matter, but one cannot fault it for taking action to head off the false impression put about by Monckton and his supporters. The APS had the right and the duty to do so. Its members would have been justified in hauling the executive over the coals for failing to deal with the problem. The subsequent reaction is an interesting case of cognitive bias. Sceptics expect an AGW-supporting scientific body to be heavy-handed and authoritarian, even fascist, and then interpret its actions in this light. Perhaps some good may come of it, if sceptics can learn to contain their eagerness to topple AGW, and claim no more than the facts allow. 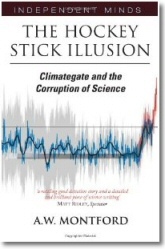 This farce should also dispel the notion that AGW is a vast conspiracy. After all, the APS executive were such incompetent conspirators that they failed to bring one of their own editors in on the secret. Fran, I’d say you are right, and no insult taken. As Spencer pointed out, there has been an agenda since the late 80’s to focus on carbon emissions. This led to a miseducated generation that thinks hypothesis with no correlation to observations is science, that a flimsy CO2 theory can only be rebutted with a proven hypothesis. That generation needs to put down their Blackberries and Ipods and go outside and experience weather so they can understand the components of climate. The AGW via CO2 acolytes simply chose the wrong idol to worship, and won’t admit it. I live in a climate that dumps 30-50 deg. F every night. Lacking that in the long term would build enormous heat. An evening shower that raises humidity followed by a clear sky, or even thin cloud cover sans rain results in a night that cools only 1-3 deg. F. With all other factors being equal, this results in a 5-10 deg F higher daytime temperature the next day. Water vapor, not CO2, obviously has an exponentially greater impact on the thermal status of the atmosphere. Look to Anthony’s Tucumcary expose of the irrigation effects on temperature. It may still be AGW, but its not CO2. Brendan, Joel and their ilk make ad hominum attacks, and offer nothing other than group-think derision to bolster their entrenched position, while the skeptics offer many theories based on observations. It is peculiar that there is no observational CO2/temperature connection other than the ice cores offered, which are flawed by virtue of temperature rising before CO2 levels. The only “eagerness” I see is to find the truth on one hand and evangelistic insistance on the other. “Oh, yes, it was peer-reviewed, all right, and by no less a personage than one of the editors, an eminent professor of physics, who went through it with a fine-tooth comb and then sent me a long list of reviewer’s comments, asking – rightly – that I should explain the derivation of every equation so that a non-climatological physicist could understand exactly what was going on. My amendments in the light of his questions lengthened the paper from 5000 to 8000 words, making it easily the largest paper they’ve published. The only sense in which it was not peer-reviewed is that the editors did not send it out to a third party for his comments. However, one is surely splitting hairs here – one editor commissioned the paper and liked the first draft very much: the other editor then reviewed it and also liked it very much, and was therefore prepared to devote some considerable time and effort to reviewing it and recommending revisions and clarifications, which I was o f course happy to provide. I am expecting the AGW CO2 hypothesis to collapse, eventually. Hopefully this will occur within the next year or so. For the true believers in AGW, this set of circumstances will definitely be a Carbon Dioxide Catastrophe. Won’t bother me a bit. However, if AGW catches the fancy of the politicians, we could see some horrible things done to the economy in the name ‘saving the planet’. In this case, Carbon Dioxide Catastrophe will be catastrophic to almost everyone on the planet. In particular, the poor of the world will suffer disproportionately, just as they have suffered from other environmental fads such as the ethanol debacle and the restrictions on the use of DDT in controlling mosquitoes. So the real question is: what will the catastrophe be? Egg on the face of the AGW believers? Or a true economic catastrophe inflicted on the human family? Of course some societies will not be as affected as others. The Chinese and Indians have already decided that if there is a choice between suffering from poverty or suffering some of the consequences of global warming, they will take the latter. Neither country is even slightly interested in curtailing CO2 emissions. While we’re in the process of naming big events, what are we going to call the big Dalton or Maunder type solar slow down? Something else I am expecting. Perhaps (as has been suggested by others) we could refer to it as the Al Gore Minimum. And the resulting little ice age? The James Hansen Little Ice Age? Thus these gentlemen will be memorialized as they so desperately desire. The comparison to religion seems to come up a lot and while it is off topic, I think we do the environmental movement a great disservice by characterizing them as a new “eco/Gaia religion”. While it can seem religious, it is nevertheless reasonable to desire that people and humanity as a whole become more caring in general, and more caring of nature. It is in this sense that man-made Global Warming need not even be a correct model as far as environmentalists are concerned. I’d wager that if AGW was eventually proven wrong, but in the meantime we collectively showed we were willing to implement lifestyle cuts for the sake of nature, and did so to great economic cost, environmentalists would be 100% satisfied. See, it would all be a step in the “right” direction. And in one specific sense it is, humanity does need to learn to care about the environment more. The problem however, is that most of the world doesn’t care and won’t for a long time, because most of the world can’t afford to care. This leaves environmentalists pushing scare stories to try to make us behave as if we cared, which kinda misses the whole point anyway. I know this is off the radar, but if we’re going to accuse them of being “religious”, I think we could more respectfully simply question of them whether their tactics are actually going to get them what they want. They do, but that does not mean they are accurate. Miskolczi (2007) offers a theory in which the optical depth remains constant based on energy conservation, local thermal equilibrium and energy minimization etc.. He predicts that increases in CO2 will result in decreases in H2O to maintain energy balances. Chihlingar & Khilyuk offer a theory that increasing CO2 will DECREASE warming. global warming theory believe (Aeschbach-Hertig 2006). not influence the global temperature of Earth’s atmosphere. Obviously these are very controversial, especially in the present political climate. These complement Roy Spencer’s new discoveries of very low climate sensitivity. It will be interesting to see whether these contrary theories or AGW proves to be correct. Mr Hagen, I was citing someone else’s quote. My role here is to throw out (ill)considered opinions not to say anything scientific; I’m as qualified to comment on technical scientific issues as I am on the benefits of a low calorie diet. I’ll just refer to the work cited by Danish geophysicists as refereed and serious . They had the scientific courage to make corrections and continue to perform exeriments. I think we san still see that there was a strogrer correllation than that from CO2 increasing in the 40s – 60s while temperatures dropped. Iknow I had to walk to school through the snowdrifts. I would like to change my drift and offer an insight into fluid inclusions in ice. Fluid inclusions are valuable in genetic studies of hydrothermal mineral systems because they give insight into chemistry and PT relationships at the time of formation of a mineral. Quartz is useful, but not often interesting in todays world except as an academic study. The other mineral used is sphalerite (ZnS). Fluid inclusions in sphalerite can be frozen and evaporated and yield (given statistical constaint N= large number) regarding the saliity of the mineralizing solution and the temperature (I am oversimplifying sorry). Fluid inclusion data, is only used if it can be shown to be from a closed system. No inclusions are allowed that sit on fractures, odd bubble shapes, etc. which indicate secondary inclusions that are unreprentative and possibly corrupt. There are stats tests as well. Is it totally crazy making to see inclusions from ice used in a refereed paper on ancient climate. Unless I am missing something, it takes centuries for snow to become firn and firn to become ice. During that time it is certainly an open system and light isotopes migrated and heavy isotopes build up proportionately. Even the crystaline structure of ice is an open system. Does it not expand upon freezing? There are a few posibilities we do not even fathom on this , but it is an open system. The difficulties lead me to suggest that the referee system for ice work needs an independent qualified person to evaluate the data and the conclusions prior to publication of such work. CO2 may trail warming, or it may lead. Who knows if the raw data comes from an open system. I regret that there has not been more discussion about Lord Monckton’s actual science in the APS paper, on this blog. To have had this would have immediately refute statements like “Monckton is a slick and audacious operator” and other statements that suggest he is incapable of good and honest science. This excellent science paper has been treated as such by several who are formally qualified to recognize its scientific excellence, and who are not afraid to support it in the present climate of repression of dissent, as you can see by reading the paper’s acknowledgements http://www.aps.org/units/fps/newsletters/200807/monckton.cfm and by reading Monckton’s comment that it has been effectively peer-reviewed http://www.iceagenow.com/Is_the_American_Physical_Society_being_honest.htm. Lastly, Monckton himself is waiting for “ad rem” ie scientific rebuttals at APS, rather than ad hom. I look forward to WattsUp and similar blogs doing more scientific analyses on this excellent paper in future. Let’s see. A mathematical proof is a series of mathematic equations used to provide a logical series of assumptions to explain that a certain relationship exists. Did Viscount Monckton provide such a series, validity of such series open to being contested and argued? Yes, he did. Did it appear in Physics and Society, and is that a journal of the APS? Yes, it did appear. Physics and Society is officially classified as a newsletter by APS, but the definition of journal does not imply a publication size, just a periodical published by a learned society. Meets the criteria, in my eye. Was the the paper peer reviewed? This seems the contentious point to some, citing that Dr. Saperstein read the paper for presentation clarification purposes. Based upon Dr. Saperstein’s listed academic accomplishments compared to Viscount Monckton’s, I’m sure that Joel Shore would consider the good Doctor was more Monckton’s superior academically rather than peer, but that should improve the status of the paper based upon his reputation. Did he review the paper? He provided criticism and suggested corrections that Viscount Monckton implemented. This meets the definition of review. Was this a major paper? It was the first paper of its type to appear in a “recognized publication” of a scientific society of the stature of the APS. That certainly makes it groundbreaking and important. Comes close to the definition of major. Based upon a strict breakdown of the sentence, I cannot find a lie in it. Where do you see the lie, Joel? Here is an example of how the science is biased currently. Current analyses of climate change impacts show rising temperatures resulting in diminished snowpacks, leading to hydrologic, ecological, economic, and other impacts. This session will focus on observations of snow water equivalent, snow depth, and snowpack dynamics from ground based, airborne, and space borne sensors; snowpack and streamflow reconstructions from tree ring chronologies; modeled simulations of mountain snowpack dynamics; and potential impacts of changing snowpack on water resources and mountain ecosystems as well as potential economic impacts on ski areas and other components of mountain economies. The AGU Fall Meeting will be held on December 15-19, 2008 in San Francisco, California. At any rate, your own source noted that the steps in a proof must “lead to a valid conclusion”, which Monckton’s does not. His final equation [Eq. (30)] is not even self-consistent for heaven’s sake: He uses one value of the forcing for doubling CO2 in deriving his value for kappa from empirical data [Eq. (26)] and then another one when he wants to multiply everything together to get the climate sensitivity!!! That is like saying x*(3/x) = 6 is true if x=2 where we want it to (in the first term in the equation) and x=1 where we want it to (in the second term). As for it being peer-reviewed, I think the Forum on Physics and Society and the APS know better than you if it was peer-reviewed. And, I think you take the definition of “peer review” too literally when you say it just has to be by someone of Monckton’s own standing or better. Does it mean that any 3-year-old can submit a paper to a seriously scientific journal and they can send it out for a review by a 5-year old because he is “superior academically”? Like I said, you can believe whatever you want to believe, but I can guarantee you that almost nobody who reads that newsletter regularly is going to find that sentence in the press release to be at all accurate and most are going to be angry by those blatant misrepresentations. That is hardly a way to win converts from that community over to your side, but then, I think it’s pretty clear that this wasn’t Monckton’s purpose anyway. Lucy Skywalker– Gavin has now put something up addressing this new article by Monckton specifically: http://www.realclimate.org/index.php/archives/2008/07/once-more-unto-the-bray/langswitch_lang/zh It doesn’t really add that much to Tim Lambert’s dissection at Deltoid since it hardly takes a climate scientist to spot some of the most blatant errors in Monckton’s “article”. My comment about Monckton being a “slick and audacious operator” did not refer to the science, but rather to the man’s penchant for self-promotion. I’m not qualified to comment on the science – or in this case the mathematics – so have not done so. However, I recognise self-promotion at work when I see it, and at least in this particular case Monckton and his associates worked assiduously to create a false impression that was favourable to his case. Like you, I am also keen to see scientific issues settled by scientists, and am prepared to wait until a scientific view emerges. I only wish that Monckton were as patient, and not so eager to jump the gun and attempt to push the argument in his favour before it had a good airing. In April, the newsletter ran an article by retired nuclear physicist Gerald Marsh. Marsh argued that solar variations play a major role in the Earth’s climate, one which overrides human emissions of greenhouse gases. According to Marsh, future changes in the solar cycle could bring on the next ice age. The editors put out a request for articles arguing “both sides of the debate.” They also asked Gerald Marsh to recommend authors who might contribute a piece arguing against the IPCC. REPLY [to Joel Shore]: Just today I came across two more absurd articles like the penguins spin and the whitewash for the sea that are just so unbelievably absurd, I can’t fathom how a rational person could report them. I haven’t seen you denounce articles like these, thus I am forced to conclude that AGW proponents such as yourself simply don’t care if the science is right or not, as long as the cause is furthered. Please don’t lecture about propaganda until you are prepared to renounce some of the pro AGW propaganda that has been showing up in news articles. I note that Mr. Shore has yet to refute any of the theories referred to by Anthony above. Not a one. And since Mr. Shore has had a full week to disown those “nutty” theories, but has declined while answering other critics, we can accept that Mr. Shore buys into the silly Penguin and lime-in-the-sea globaloney “solutions” that the AGW True Believers propose. The truth of the matter is this: catastrophic global warming supposedly to be caused by an insignificant increase in an insignificant trace gas — the original, but now thoroughly falsified AGW/CO2 hypothesis — has been superseded by “climate change,” something which naturally occurs all the time. That underhanded moving of the goal posts occurred only because their previous AGW hypothesis has been so completely falsified. This is not a scientific issue any longer. AGW/CO2 is strictly a political issue now, as Mr. Shore makes glaringly obvious with his vitriolic attacks against a mathematician who simply holds a contrary view. No real scientist would attack another scientist like Shore attacks Monckton, simply because they disagree about the science. Mr. Shore even disparages and attacks Monckton for simply accepting an unsolicited invitation that four others did not accept. How low is that? No, this is no longer science. AGW is now 100% political. Either you toe the Hansen/UN/IPCC AGW/CO2/climate disaster orthodoxy, or you are a lying apostate. There is no middle ground, no reason left. The Hansen/UN/IPCC apologists know full well that the planet is cooling, not warming. Yet they persist in bucking the headwinds of empirical evidence. They only wish to score political points, which belong on a political blog like RealClimate, rather than on a science site that encourages critical thinking. Because at this point, those still pushing the AGW/CO2 [repeatedly falsified] hypothesis are only propagandists, nothing more.